Matcha green tea has become extremely popular in recent years. In the US, matcha green tea lattes have been popping up all around trendy cafes, and you can even find matcha in a variety of drinks on Starbucks’ menu, from Green Tea Latte, Green Tea Crème Frappuccino to Matcha Lemonade! Not only is matcha tea considered superior to regular green tea in its vibrant green color, naturally sweet taste and fine powder texture, did you know that there are many amazing health benefits of matcha tea that puts it in its own class above regular green tea? In fact, you’d have to drink 10 to 15 cups of regular green tea to equal the nutrients in one cup of matcha! Matcha is a special type of powdered green tea that is mostly grown and processed in Japan. The first green tea seeds and bushes were actually brought to Japan by a Japanese Buddhist monk that returned from his travels in China in the year 1191 A.D. The young monk used his experience growing and drinking green tea to develop the meditation ritual around drinking tea within his Buddhist monk community. The popularity of drinking matcha tea spread throughout Japan after the samurais adopted it into their daily practice. Matcha green tea separates itself from ordinary green teas in the way it is farmed and processed. The green tea leaves are shaded from the sun for the last few weeks of their growth to stimulate an increase in chlorophyll production in the leaves, creating its gorgeous green color. The best matcha green tea comes from the first flush, baby green tea leaves that grow during the spring. The window for ideal matcha green tea growth is very limited, and this is one of the reasons why matcha is one of the more expensive teas on the market. The finest leaves are hand-picked for premium quality. The leaves are then steamed and dried, then carefully ground with stone grinding wheels to produce a fine powder. Matcha is the best food source of antioxidants known as catechins, and studies have shown that consistent catechin consumption leads to reduced body fat and potential prevention and improvement of many diseases including obesity (1). While drinking matcha green tea alone will not magically cause you to suddenly lose weight without other healthy dietary changes, it can boost your metabolism and help you lose weight faster when consumed as part of a healthy weight loss plan. To get the most out of matcha green tea, drink it plain without added sugar. Ceremonial grade matcha needs no added sweetener or dairy products to make it palatable. A popular practice all over Asia is to pair drinking tea (without added sugar) with a sweet snack or dessert – a technique that naturally reduces your cravings for sweets and overall consumption of sugar! Studies have shown that consistent green tea consumption can reduce the risk of cancer, such as breast cancer (2), and colon and rectal cancers (3). Matcha green tea contains high levels of antioxidants, especially EGCG and ECG that are capable of fighting free radicals and protecting us from free radical damage. Matcha green tea also contains a potent class of antioxidant known as catechins that can protect you from damage caused by harmful UV radiation of the sun, and improve your immune system function. One major health benefit of matcha green tea is due to its high concentration of L-theanine, an amino acid that improves creativity, learning and memory. A higher level of L-theanine also promotes alpha waves in your brain, which produces a relaxed but alert mental state that lasts longer. Matcha green tea contains up to five times as much L-theanine as regular green tea. The shaded growth technique used by matcha farmers in the last few weeks before harvest is credited with enriching its L-theanine level. The caffeine found in matcha green tea offers a calmer and lasting energy, or “zenergy”, surge compared to when you drink black coffee. It offers many of the same energy-boosting benefits of caffeine, without the corresponding crash. Matcha green tea has both regular caffeine and the aforementioned amino acid L-Theanine, and when these two chemicals are combined, it really starts to shine! L-theanine slows the release of caffeine into the bloodstream, leading to longer and more consistent energy that can last up to 6 hours, compared to a cup of coffee or a soda, which tend to release caffeine in a rush then dissipates within an hour or two. The longer-lasting energy boost from the caffeine and L-Theanine can provide more stamina and endurance during your workout. The potent antioxidant catechin found in matcha, help the immune system reduce inflammation in muscles from oxidative stress during exercise, and this helps repair the muscle in the long run. Catechins also lower levels of lactate in the blood and muscle by stopping the use of glucose for energy. While there are many health benefits to ingesting matcha green tea, its anti-inflammatory properties from its high chlorophyll content also shine through when applied directly to the skin! Not only can a matcha face mask help relieve minor sunburns, but it can also provide natural UV protection for those with sensitive skin (although you should always apply sunscreen for a complete protection). The polyphenol content in matcha can help give your skin a natural glow. 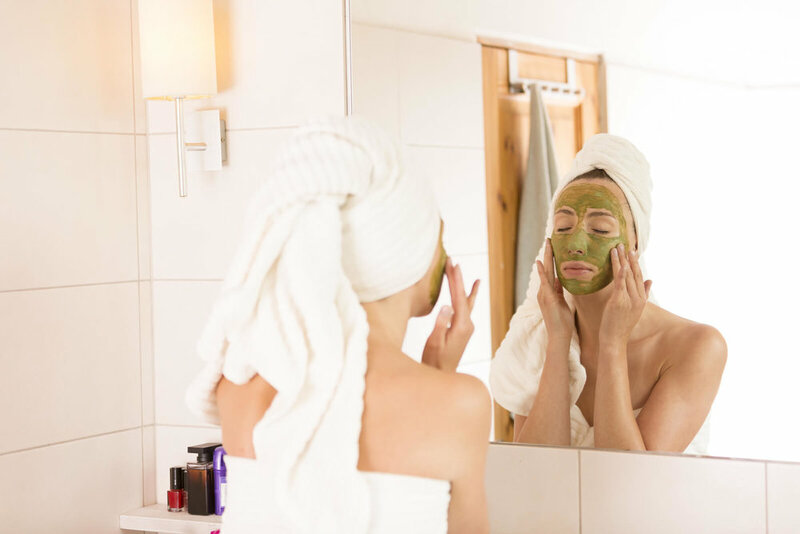 To make an easy matcha face mask, simply mix one teaspoon of the green tea powder with equal parts of raw honey and water to create a thick paste. Apply the paste evenly on your face, and wash off after 15-20 minutes. Not only will this mask help you to reap all the benefits of matcha, it’ll also leave you with a freshly scented skin. You may substitute the honey with coconut oil. Matcha’s vivid green color is the result of its high concentration of chlorophyll. The chlorophyll not only provides it with a rich green color, but it’s also an amazing detoxifier that can help eliminate harmful toxins, chemical and heavy metals from your body. An easy way to incorporate detoxification of your body on a consistent basis is to drink a cup of matcha green tea daily. The Chinese have long believed that matcha tea is “the elixir of immortality”. Matcha’s rich level of antioxidants helps to prevent cell degeneration and premature aging. Its anti-inflammatory properties combat skin aging by protecting it from UV damage and improving its elasticity. As amazing the health benefits of matcha green tea are, there is one important caution to take note: lead. China is one of the world’s largest exporters of tea, but their rapid industrialization has raised concerns about contamination with lead, a toxin that can negatively affect almost every organ in the body. The more lead found in the soil, the more lead ends up in the tea leaves. 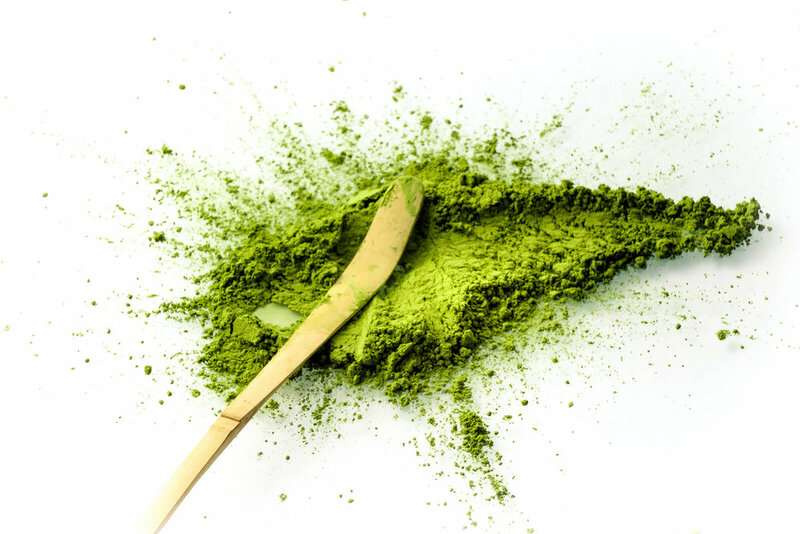 With matcha, you are consuming the powder from the entire leaf, so more lead may wind up in your cup. For this reason, your best bet is to stick to matcha teas grown in Japan, and look for brands that provide consistent test reports on the presence of heavy metals. A cup of matcha can cost $4 or more in cafes, but you can brew matcha easily and inexpensively at home. The best place to buy matcha green tea is on Amazon. 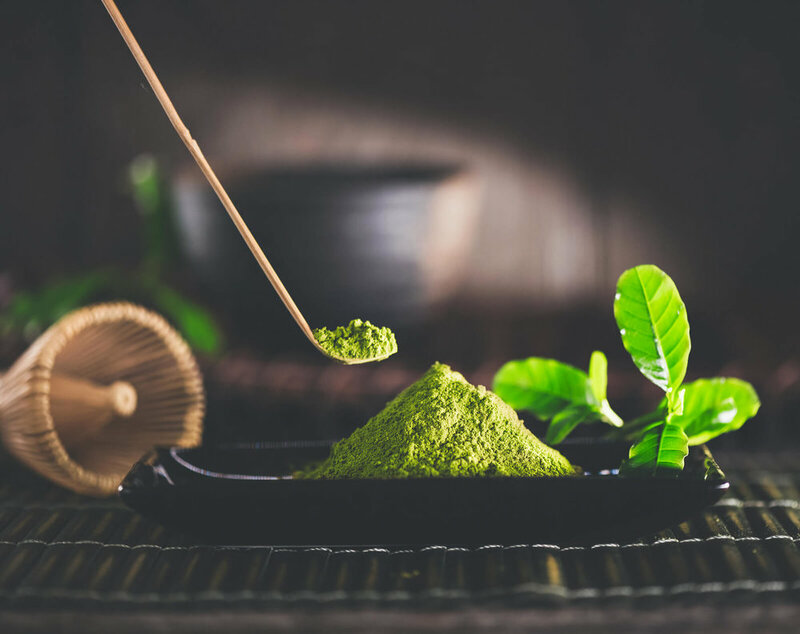 Ceremonial grade matcha is the highest quality green tea powder available and has been used in traditional Japanese tea ceremony for centuries. It has a vibrant green color with a delicate, sweet taste and extremely fine texture. The ceremonial grade matcha is made from the youngest tea leaves, with the stems and veins removed. The leaves are stone-ground, which makes for a perfect thick-style tea. Kenko matcha green tea powder is one of the best on the market. Its tea is grown in the Nishio region of Japan, known for its ideal climate to harvest the best matcha green tea powder. The green color of the premium or “in-between” grade matcha is slightly less vibrant compared to that of the ceremonial grade matcha, but it can be just as satisfying at a slightly lower price. Premium grade matcha tea is ideal for everyday consumption, from a morning matcha smoothie to an afternoon latte. Encha offers a premium “latte-grade” matcha using first-harvest pure organic matcha grown in the Uji mountains of Kyoto, Japan. This matcha powder is greener and smoother compared to lower-quality culinary matcha. Culinary grade matcha powders are made with less delicate leaves than ceremonial or premium grade matchas, but they offer a strong flavor that makes it perfect for cooking and baking. Jade Leaf makes a fine USDA organic, authentic matcha that is sourced from Japan. I’ve been adding it to my green smoothies and lattes, and It’s fine texture blends really well. Brewing a traditional matcha tea is a simple, yet elegant art form in itself! All you need is matcha powder, a tea bowl, a whisk, and warm water. These items can be purchased separately, or neatly packaged together in a matcha kit. The whisking of the powder and water together provides the creamy latte texture that makes the matcha stand out from other typical green teas. Sift the powder into the tea bowl. Whisk with the bamboo whisk until frothy and well mixed. With all the incredible health benefits of matcha green tea powder and its serene aroma and flavor, it’s a great drink to try if you are looking for a new low-calorie, sugar-free drink! 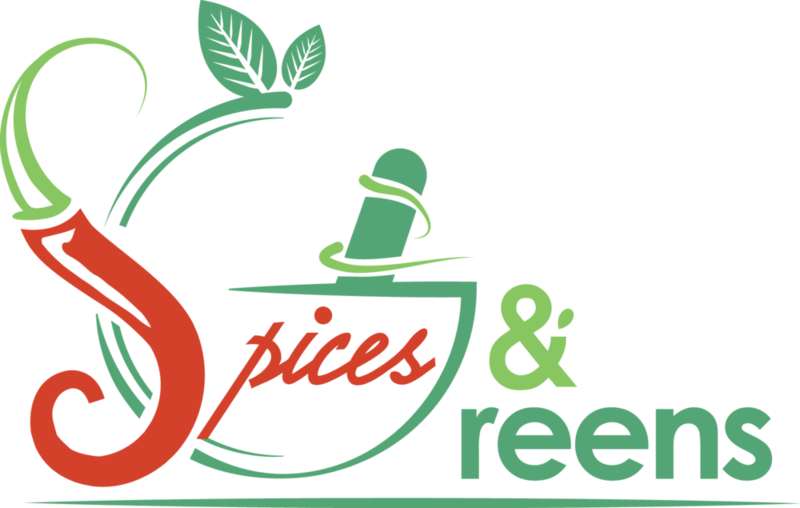 If you enjoyed this article and are looking for more resources on healthy, natural weight loss, check out the 21-Day Slim Down Challenge to naturally lose weight with the spices and healthy greens that has been used for thousands of years in traditional Asian medicine. 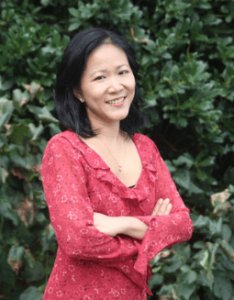 The concepts that you’ll learn from the challenge will help you make the necessary changes in your diet and your lifestyle, and maintain your healthy weight long beyond the challenge.